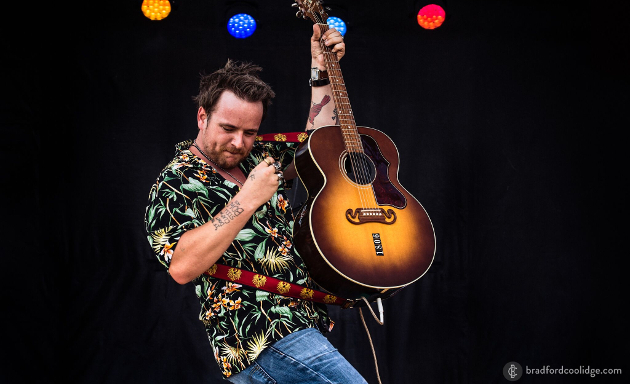 Texas country songwriter and performer Dalton Domino has canceled numerous performances, including an appearance at Mile 0 Fest this upcoming week in Key West, Florida, citing personal issues he is suffering from, and is receiving treatment for. On January 14th, he initially informed fans of the cancellation of three shows, including 1/15 at Main Street Crossing in Tomball, TX, 1/18 at The Globe Theater in Bertram, TX, and 1/20 at Hurricane Harry’s in College Station. Then on Wednesday evening (1-23), Domino released the following statement. I live a life that most people dream of. But unfortunately, the fulfillment that I once had chasing my dreams hasn’t been there. for a while. Things became dark. I became calloused, angry, selfish, depressed, hollow.. and because of those feelings, things came crashing down on January 12th. I needed to get help. I needed treatment. I needed to talk to someone. So i did. And i still am. And because of that, I am 11 days clean. 11 days healthy. 11 days with a new mind, and 11 days with a new perspective. I am proud of where I am right now in life. I can say say that for the first time in a long time. It’s a new day. Tomorrow is a new day. I need a few more weeks to fix myself before I get back out on the road. I will not be at mile 0 fest. I apologize for all of the cancellations. I love each and every one of you and I am grateful for all you have given me. I apologize for doing this. But right now I need to take care of me. As for right now, I will see y’all on the 23rd in Dallas. From Lubbock, TX, Domino released his sophomore record Corners in 2017. Heralded for his songwriting and energetic live shows, he’s considered one of the most promising up-and-comers from the Texas scene. He’s openly talked and sang about his struggles in the past, imbibing his songs with an honesty and intensity that has earned him respect from fans and peers alike. This was expressed perhaps most potently in the title track of Corners. Glad he recognized it in himself. Good for him for admitting he has a problem and seeking help. Wish Evan Felker would follow suite. See him a couple times and he puts on a good show. Prayers he gets the help he needs. Added “Corners” to my “new listen” list. Have a feeling I’m going to like it. Take your time, DD. Try to stay honest with yourself. Sometimes I think that’s the hardest thing to do in this life. I wish Dalton all the very best in confronting and overcoming his issues. His output (discovered via SCM) is among my all-time favourites in any music genre! Dalton is extremely talented, but moreso, he’s a genuinely good kid with a big heart. I’m proud of him for taking a step back and realizing what he needs to focus on, and I pray that he is able to conquer his demons. Sending you love, D.